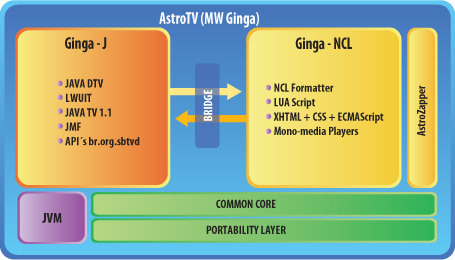 AstroTV is the Brazilian middleware compliant with the Ginga specification that allows full interactivity, extended content programming and portability. It's a solution that can be embedded in set-top boxes, mobile receivers, portable devices and digital TVs. 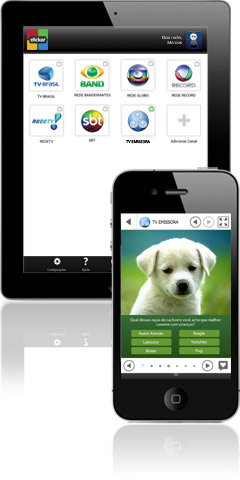 It allows the viewer's communication with the broadcaster through the return channel, in scenarios such as pools, quizzes, fames, and publicity. It allows the use of interactivity in mobile phones, PDAs and other portable devices enabling new scenarios of technology such as location, presence, voice, etc. It allows extra content to be included in TV shows, such as games, news, publicity, rich content, sports statistics, etc. T-government interactive applications will favor the digital inclusion. IRS, voting, records, newsletters, scheduling and announcements of public interest are some of the examples which will answer the needs of government areas such as Education, Health and Finance. The middleware can be licensed in conjunction with several modules that expand its capacity, reducing costs for manufacturers aiming for a complete entertainment platform in a single software solution. 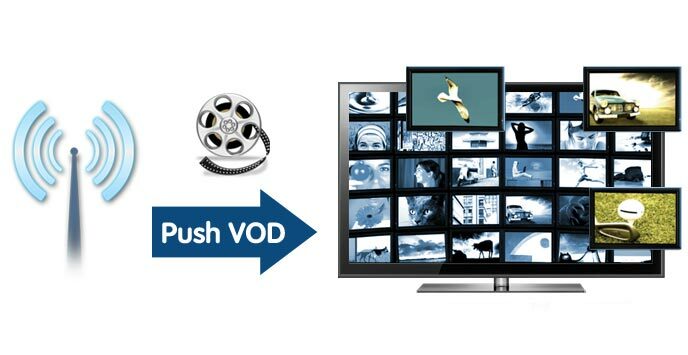 This module enables the delivery of personalized video content via the Internet directly to the connected TV, with the advantage of the content being on demand, so the user can choose what and when he or she wants to watch. Harmonized solution for delivering interactive content via both the broadcast signal and the Internet. Broadcasters have full control over the content made available to their viewers. The Broadcast Sticker menu is a bar that displays Ginga application offered and managed by the Broadcaster. It only displays B-Stickers sent by a currently tuned in TV network that has total control over this content's management through stream events, which can be defined by using our AstroPlay! solution. After changing channels, new B-Stickers are displayed on this bar. 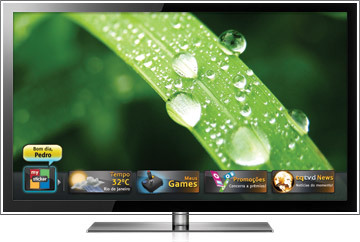 Users can have the best web content on their TVs. My Sticker is the menu where the StickerCenter user has access to all Stickers installed in his/her Digital TV receiver. Here, he/she can also see Stickers that were pre-installed. More Stickers can be purchased by users in the StickerShop, a Stickers purchasing channel. Module that adds the "Magic" protocol to the digital TV receiver. This protocol allows an application installed on tablets or smartphones to detect when a TV station is broadcasting interactive content for the second screen and present it to the user. The receiver and the portable device simply need to be connected to the same local network. 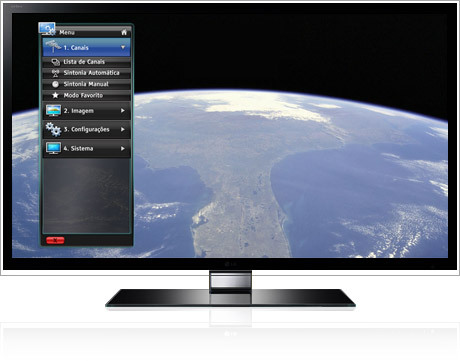 StickerCenter application allows users who already have a compatible TV or DTVi receiver to access real-time content prepared for the second screen, such as, additional information program, videos, polls, t-commerce, etc. All of them synchronized with the shows being transmitted by the broadcaster. 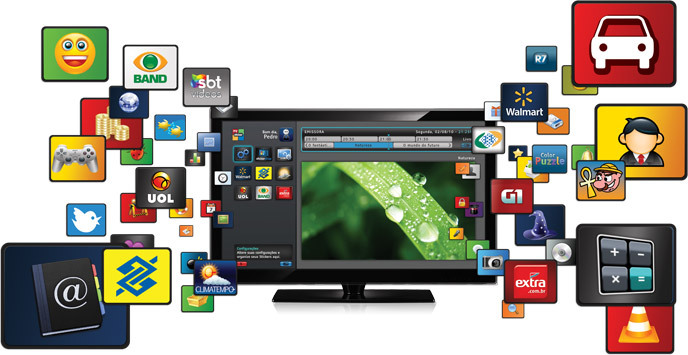 In order to receive this content, users need only to download the application and connect their tablets or smartphones to the same Wi-Fi network in which the TV is connected. It adds zapper features to AstroTV, reducing costs for the manufacturers who wish to have Ginga interactivity and a complete zapper in a single software solution for your receivers, whether they are set-top boxes or TV sets. Its flexible architecture and the open code distribution allow new functionalities to be implemented for each platform, also including user interface customization. A pioneer solution based on Ginga, Broadcast + Broadband convergence. It is a Brazilian initiative, before similar initiatives in Europe (HBBTV - EBU) and Japan (HybridCast - NHK). Over The Top Content, with online audio and video streaming. Catch Up TV, to watch TV content through the Internet, after it was aired. 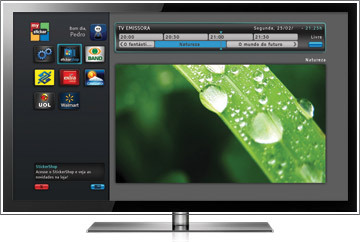 Multimedia content delivered through the DTV broadcast signal can be be stored in the receiver's memory, allowing the user to watch such content on demand, without the need of an Internet connection.